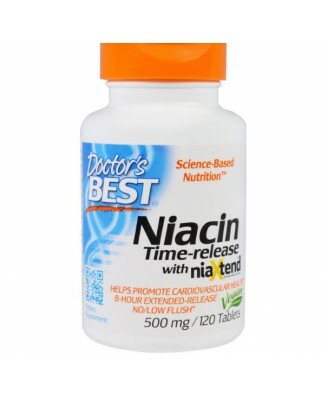 Real Niacin provides niacin in an 8-hour extended-release form that enables you to enjoy the health benefits of niacin without experiencing the uncomfortable skin flushing that commonly accompanies other forms of niacin. 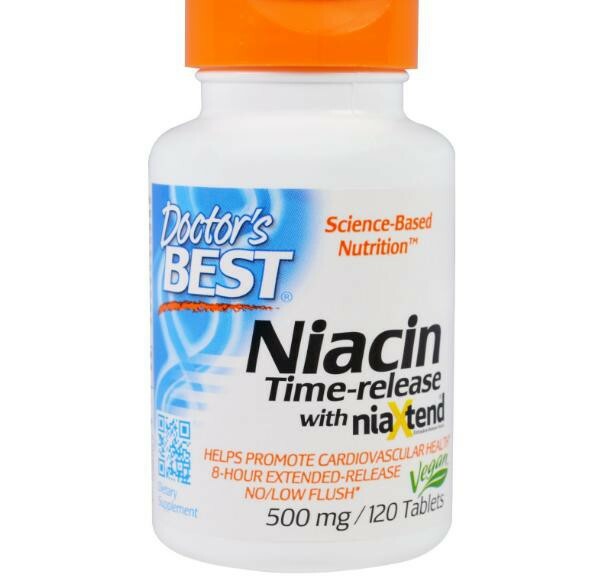 Niacin comprises approximately 200 coenzymes that play pivotal roles in metabolism and energy production within the body. Additionally, research suggests that niacin, in combination with a well-balanced diet, may help to maintain healthy cholesterol levels that are already within the normal range. Vegetable waxes (rice bran and/or carnauba wax), stearic acid, magnesium stearate (vegetable source), silica. Adult Use: Take 1 tablet with food, one to two times daily or as directed by your physician. Caution: Temporary flushing, itching or warming of the skin may occur upon initial use. If you are under medical supervision, have liver dysfunction, gout, or are pregnant or nursing, consult your physician before taking this product. 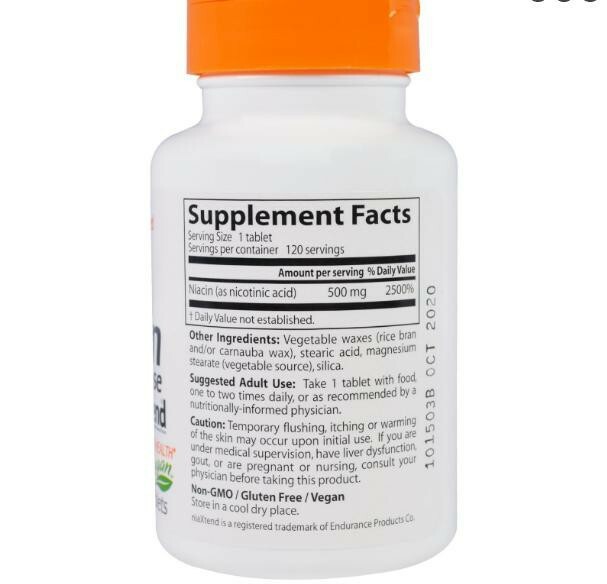 Take 1 tablet with food, one to two times daily, or as recommended by a nutritionally-informed physician. , Caution: Temporary flushing, itching or warming of the skin may occur upon initial use. If you are under medical supervision, have liver dysfunction, gout, or are pregnant or nursing, consult your physician before taking this product.Store in a cool, dry place.